Rafting or white water rafting is the exciting and challenging recreational outdoor activity in which you use an inflatable raft to navigate a river. Rafting is done on white water, which offers different degrees and classes of water from mild to wild to thrill and excite our guests. Rafting began in the mid-1970's. Whitewater Rafting in Maine is an adventurous activity for all to enjoy. Whether it is your first time experiencing a white water rafting trip in Maine or you are looking for a true white water adrenaline ride, Maine rivers are set up perfectly for all abilities to experience a great time. We have broken down the white water river classifications for you to better understand what class 1 to class 6 white water means, when you book your next whitewater rafting Maine vacation. Below are the six classes of difficulty in white water rafting. They range from simple to very challenging. Class 6: Class 6 rapids are considered to be so dangerous that they are not navigable. Do not attempt. Northeast Whitewater Rafts Maine rivers from class 1 - class 5 white water with our guests. 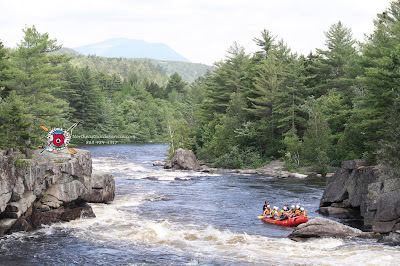 You can enjoy a roller coaster ride of whitewater rafting on the Kennebec river with tall standing waves and a big splash or step it up and raft the Penobscot river for class 3 - 5 white water rapids. You are sure to be thrilled! Now that you have a better understanding of classifications of rivers and rapids, what are you waiting for, let us take you out to experience Maine whitewater rafting with us!